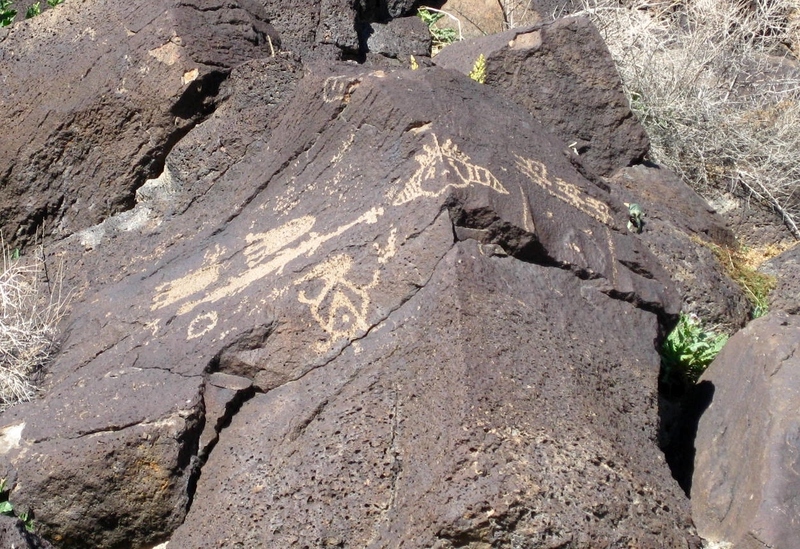 To the west of Albuquerque, New Mexico, is Petroglyph National Monument. 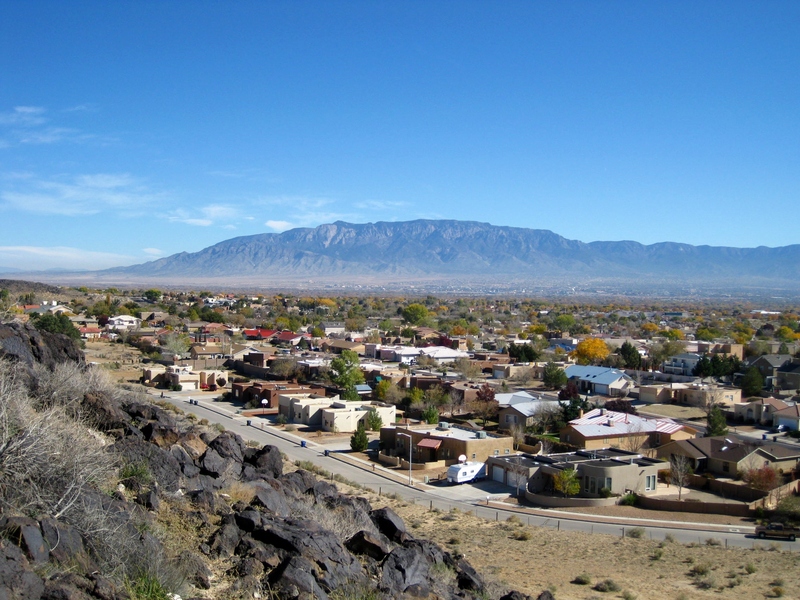 It occupies an area know as the West Mesa, a 17 mile long table of land west of the Rio Grande. 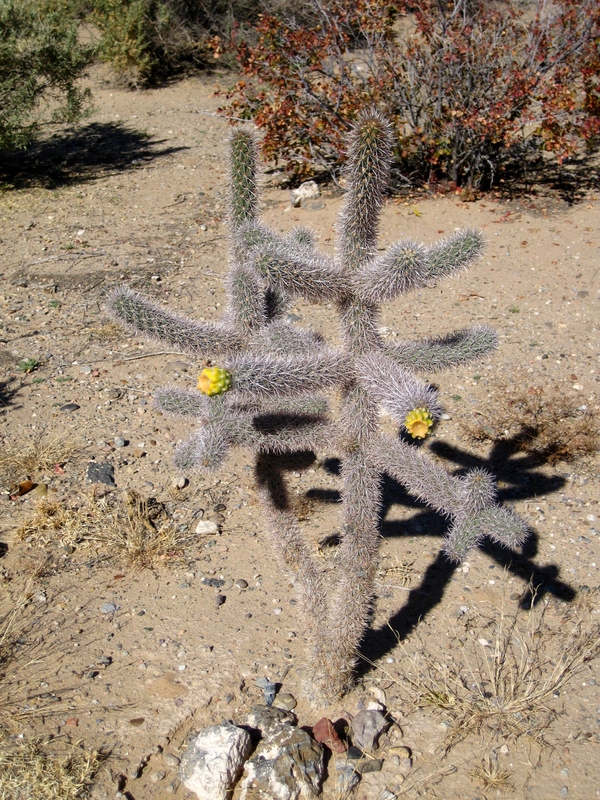 It emerged about 200,000 years ago when lava flowed from a large fissure. 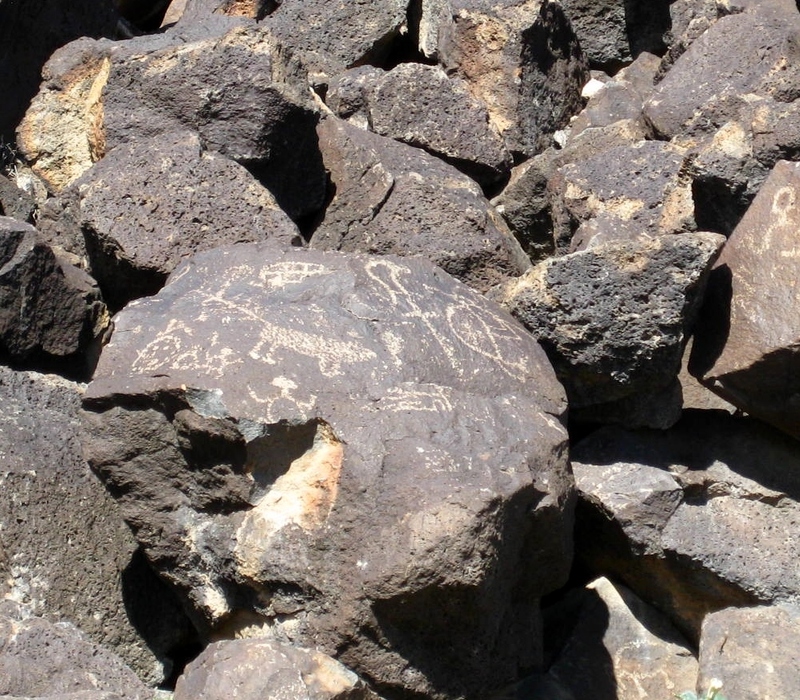 Long ago people discovered that chipping away the rocks’ thin desert varnish revealed a lighter gray beneath and left a lasting mark. 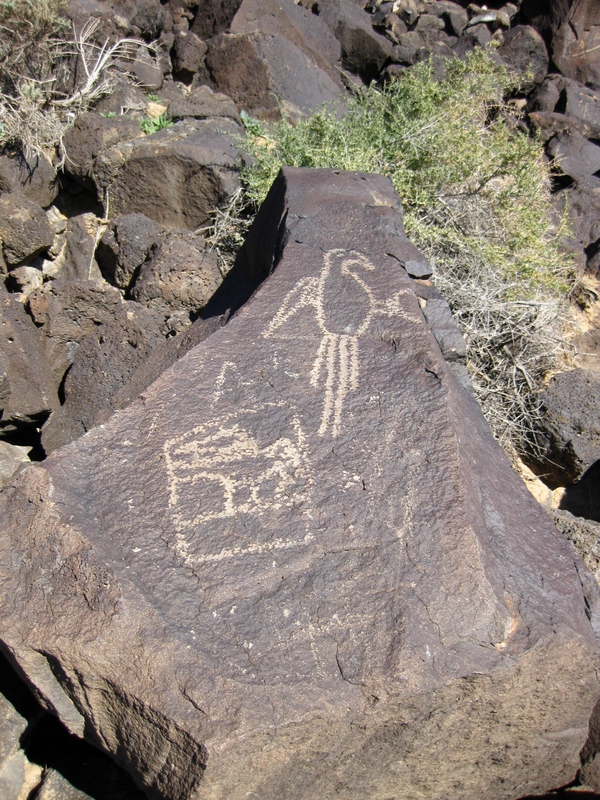 Petroglyph National Monument contains some 20,000 images pecked in the stone. Some may be as old as 2,000 to 3,000 years. 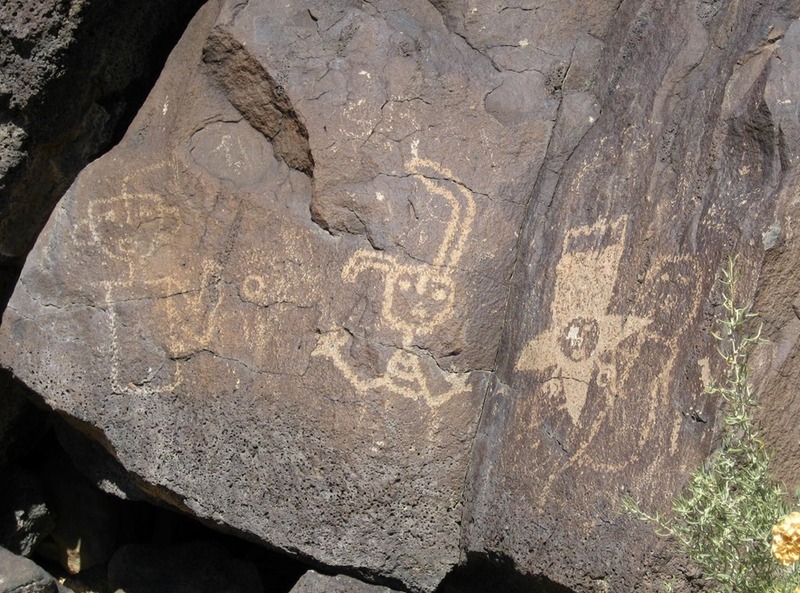 Archeologists estimate that most of the images were made 400 to 700 years ago by the ancestors of today’s Native people. 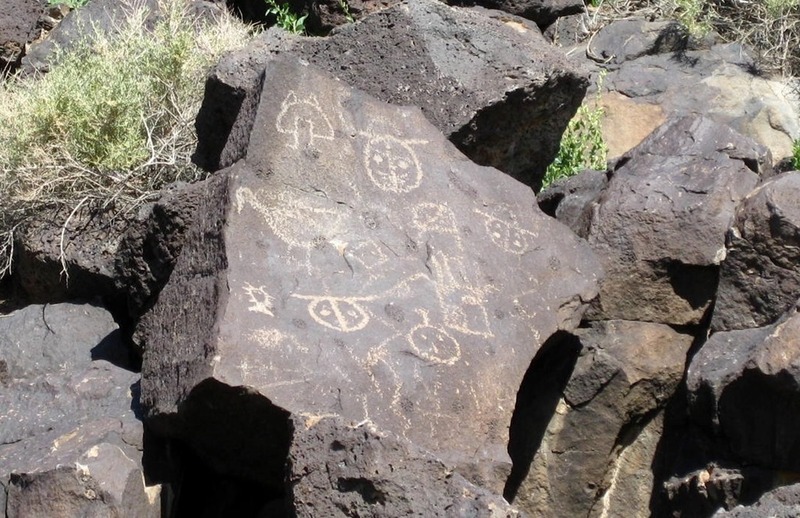 It’s easy to recognize that some of the petroglyphs are meant to represent certain birds and animals and others are meant to represent people, perhaps a sort of self portrait. However, those who study these things say that they can’t be sure of the meaning of many of the images or the reason they were created. 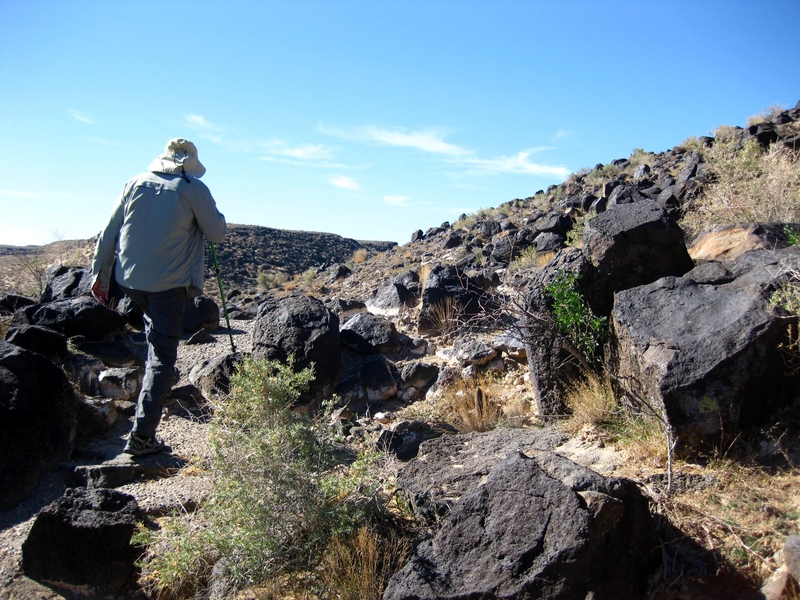 We explored two areas of the park, Boca Negra Canyon and Piedras Marcadas Canyon. Very interesting view into the distant past of our continent.